The first stop in the Justice League press tour is a wrap. Henry flew out of Beijing today, but not before thanking China for its hospitality. Catch up on all of his appearances at these links: 1/2/3. One super kind gesture that caught the internet's attention, came when Henry stopped to comfort a grieving mother. 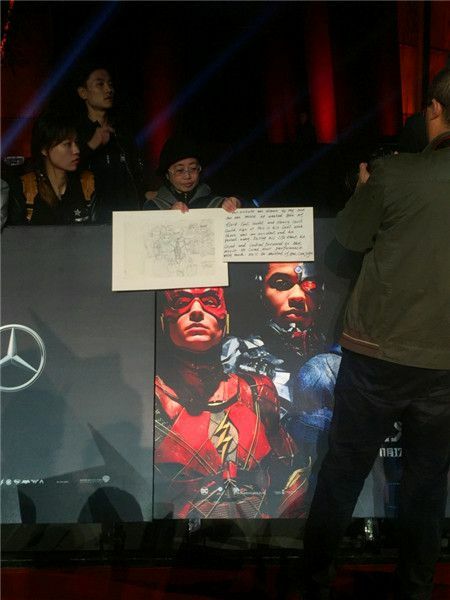 the og poster (weibo/豬豬_雯) said they managed to catch henry's attention by shouting "look at this mother"
She attended the premiere with a touching sign about her son, who was reportedly a big Justice League fan. 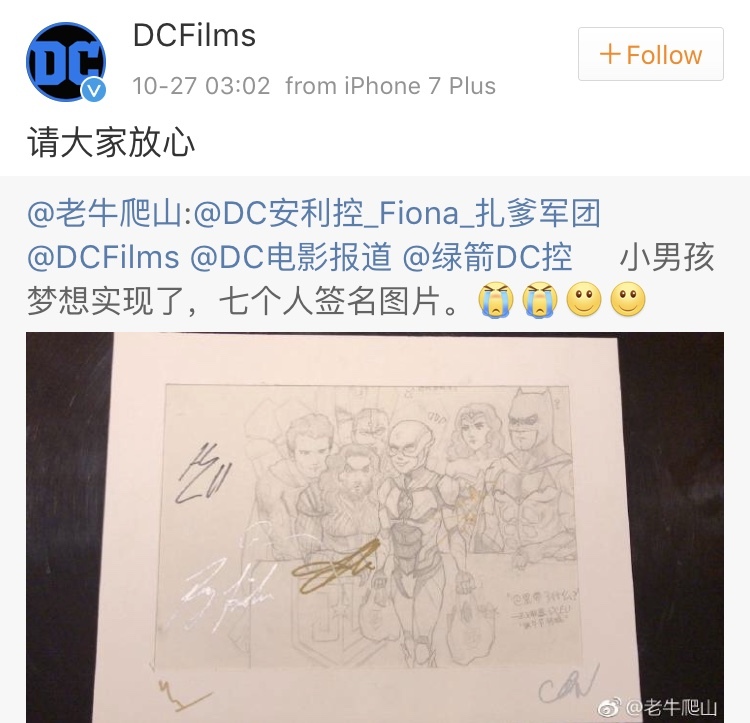 According to China.com, Henry and Ezra Miller signed the drawing on the red carpet, and then DC Films was able to get her contact info so they could have the rest of the cast sign it for her. They later posted the drawing with all the cast signatures on their official Weibo account. On his first night in Beijing, Henry mentioned how the role of Superman has allowed him to make a difference when he can. The internet will tell you, this is definitely one of those times. UPDATE: The fan who shot the video of Henry meeting the fan's mom, shared his experience with us (click on the text). Kindness all around. Thank you! 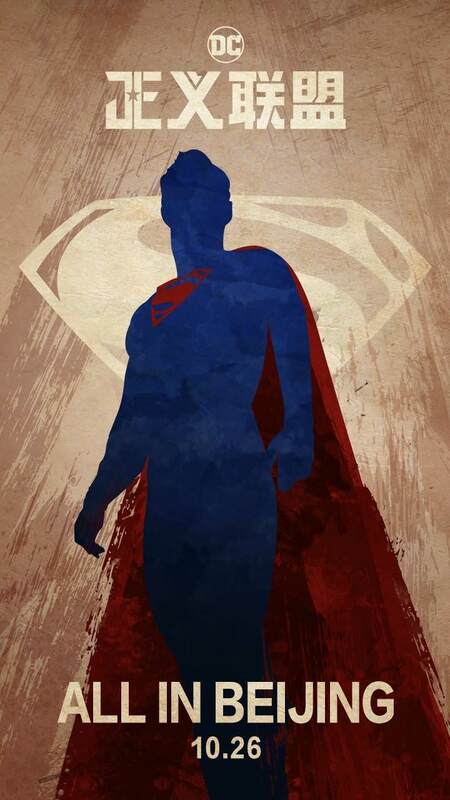 Even when he's 60, he'll NEVER stop being Superman! That was beyond the scope of noble! That's so nice of him and everyone who comforted her... sure it meant the world to her. 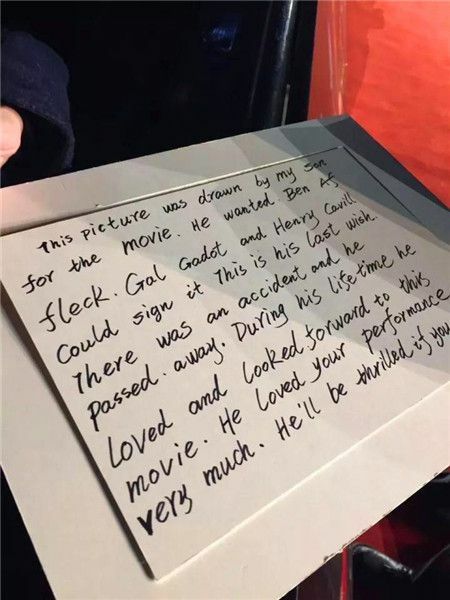 Oh, you're such a nice person, "early bird" Henry Cavill! *smiles* You're touching hearts, you're making a difference, uniting people everywhere, looking handsome, catching your plane, and amazing me all along(because I'm a night owl, who stays up all night doing my hobbies and can't imagine how someone does so much, selflessly.) I hope she finds peace. Lots of love to you, D.